A good camera really minimizes the distance between the idea of a photo and the execution of taking a photo. When someone is taking a picture they are considering hundreds of visual elements and when a good composition locks in, the act of taking that photo should be simple. Leicas have a cult status amongst photographers because these cameras get out of the way as much as possible. 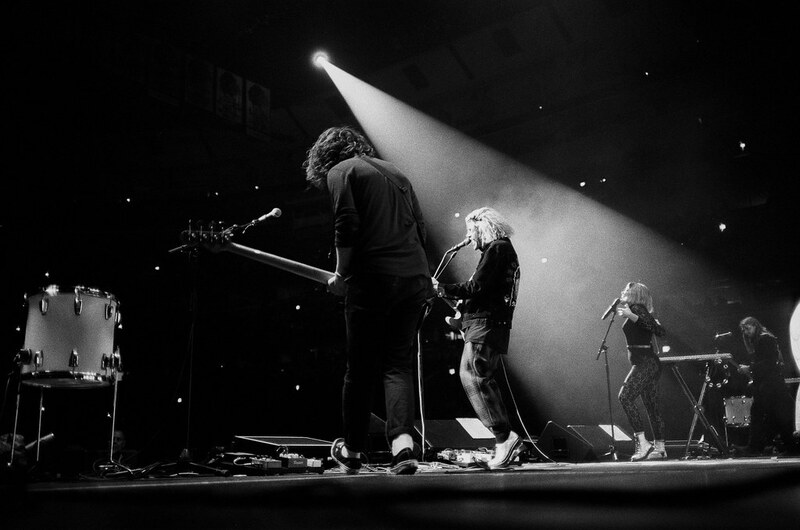 I wanted to put mine through it’s toughest test: shooting a high-energy Grouplove show. 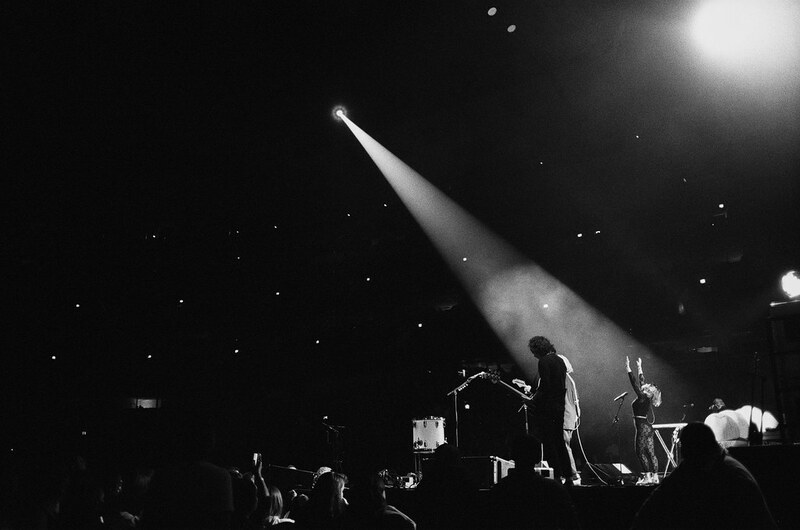 This was a concert at the United Center in Chicago and along with my digital camera, I brought a roll of black and white film. 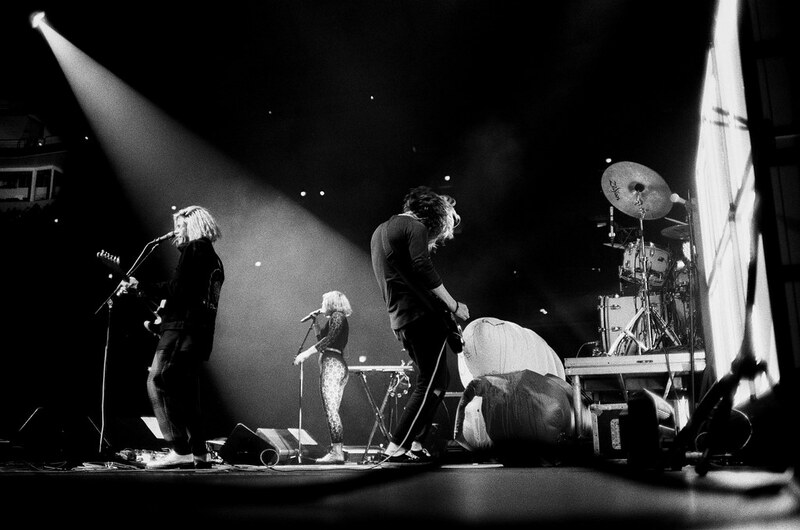 I had 36 opportunities to capture Grouplove’s energy. The black and white film stripped away all the color from the lighting and just left me with the band. Sidenote: Check out their latest album. 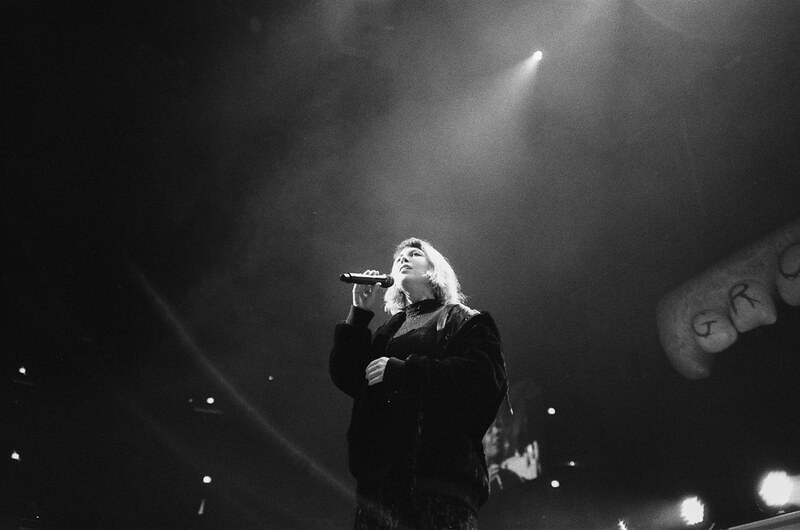 This is Hannah taking in the packed United Center crowd right after their first song. Leica’s rangefinders are manual focus cameras. 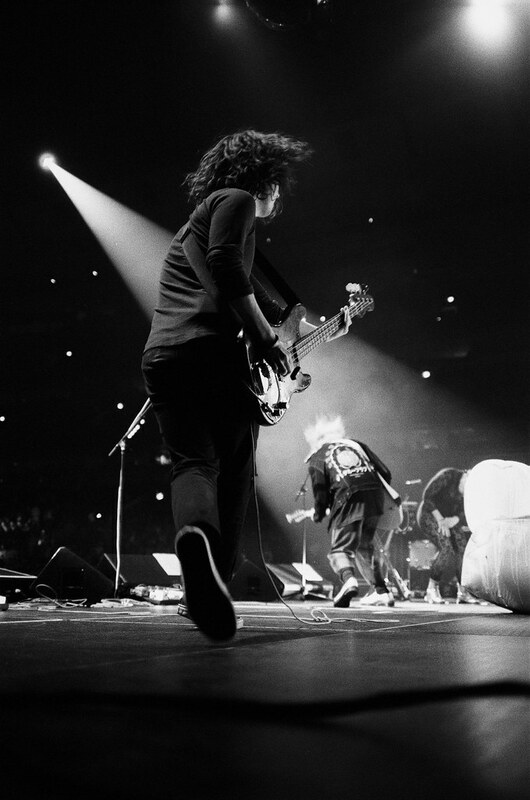 A lot of concert photographers shoot to the beat and predict what is about to happen. This camera forces you to get better at making those predictions. I couldn’t rely on instantaneous autofocus; Gah! that aspect added such a thrill to the shooting experience. Unlike SLRs, where the viewfinder shows you exactly what you are going to get as a final result, rangefinders show you frame lines within your viewfinder. This let’s you see what is happening inside and outside your frame. This let’s you see what is coming in and out of your composed photo. A wider shot of the whole band (almost). This is closer to the end of their set and I loved how the light was shining perfectly on Hannah. 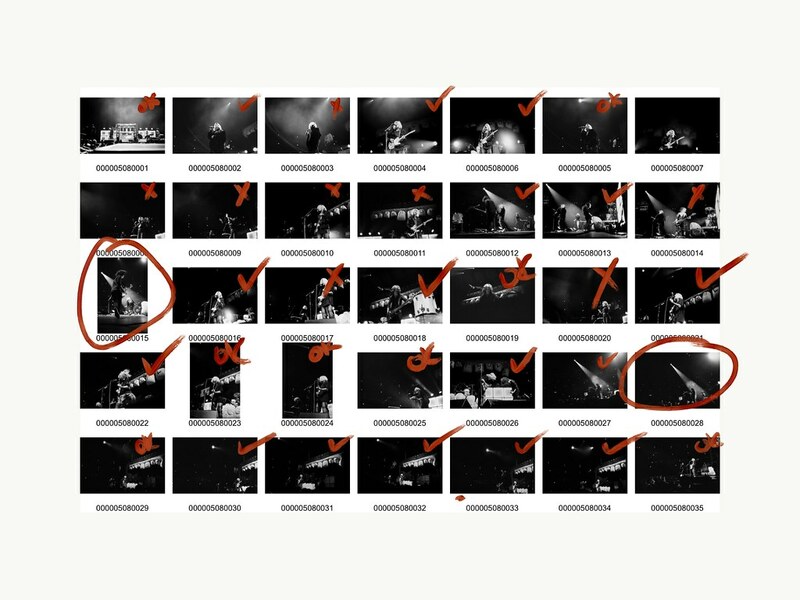 Here is my contact sheet from this roll. I still get giddy when I get rolls back from the lab and immediately review them like this.